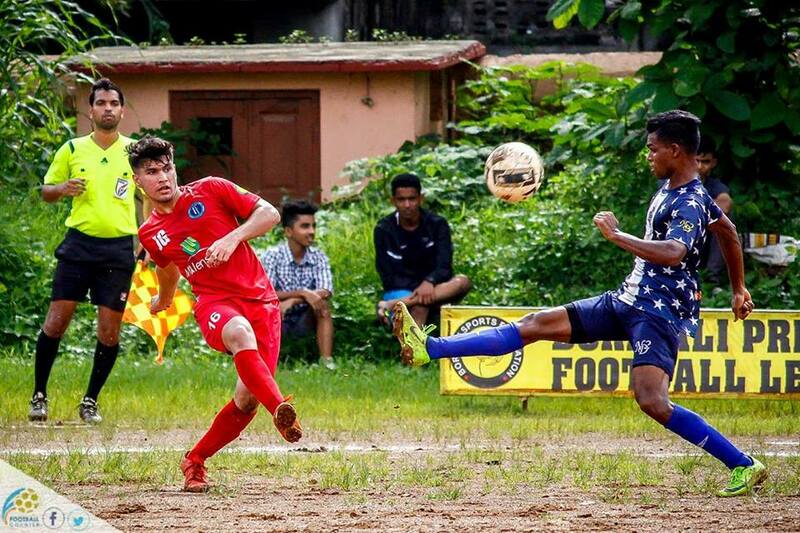 12th August 2018, Mumbai: Fleetfooters and Milan Club have booked their place in the final of Borivali Premier League (BPFL) – 3 which will be played on next Sunday at St. Francis D’Assisi Ground (Borivali). This will be the repeat of last season’s final when Fleetfooters defeated Milan Club via penalties after the match ended 1-1. It is a huge chance for Milan Club to take a sweet revenge against their biggest opponent. Earlier today, Milan Club defeated Maryland United 3-1, whereas, Fleetfooters and ND2 Soccer Starz had to be separated on penalties. ND2 Soccer Starz took defending Champions to the edge of the sword but Fleetfooters held their nerves in a nervy encounter to book their place in the final. After holding Fleetfooters brilliantly for the majority of the match, Ravi Meena broke the deadlock in the 50th minute to put Soccer Starz in front. It was a well-deserving lead which shifted the rhythm of the game. But Fleetfooters replied straightaway through Dane Pereira’s strike just five minutes later. Both the teams were locked at 1-1 which send the match into the penalties. Ashish Chavan all converted their spot kicks. Fleetfooters GK Bunty Dhiman had an outstanding game. Milan Club fought back from 1-0 down to win the match 3-1 and book their berth in the final where they will play Fleetfooters in a repeat of last season’s final. It was in the 10th minute when Calvin Pereira opened the scoring with a sublime finish to put Maryland United in front. Milan Club, this season’s best-attacking side, unleashed their lethal attack to take the result in their favor. Just eight minutes after conceding the opening goal, Narendra Vakare leveled the score for Milan Club. Both the sides launched attack after attack but somehow the score stayed even. In the second-half, Sunny Thakur found the back of the net to put Milan Club ahead before Ankit Dalvi sealed the game for Milan Club with a delicate strike past the goalkeeper. A tight contest nevertheless.